We're just at a loss to describe this really cool artwork by Kathleen S.A. Smith and her silent partner, CCB. The artwork speaks for itself. 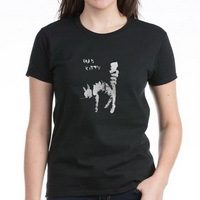 This is one mad kitty and it's a fun t-shirt to wear when you feel like being noticed. 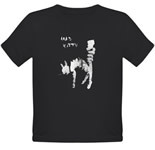 Buy Mad Kitty t-tshirt for toddlers and see all the Mad Kitty products in her store.